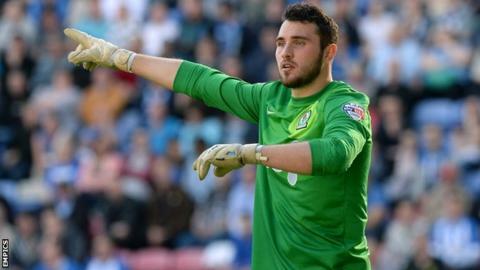 League One side Colchester United have signed goalkeeper Jake Kean on an initial 28-day loan from Norwich City. The 24-year-old has yet to make an appearance for the Premier League side since joining on a free transfer after his release by Blackburn in the summer. Kean made his professional debut for Rovers, and has previously had loan spells at Hartlepool, Rochdale, Oldham and Yeovil. He comes in after Jamie Jones' loan from Preston ended in December. "It was either come here and play some games or stay and play a couple of reserve-team games," Kean told BBC Essex. "Every player that works Monday to Friday wants to play. "My time at Norwich so far has been absolutely brilliant, there's a great bunch of lads and staff there. I've really enjoyed working with (goalkeeping coach) Dean Kiely and he's been good enough to let me come here."